Bringing new technologies to light that improve quality, enable breakthroughs and simplify workflows is what we’re all about. 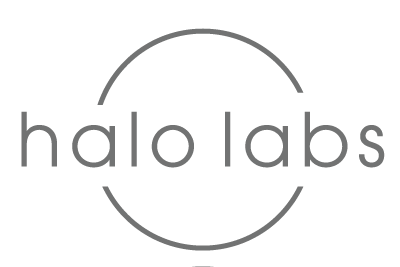 Halo Labs (formerly Optofluidics) is a venture-backed scientific instrumentation company that commercializes high-throughput biopharmaceutical quality control tools for particle analysis using the latest optics and image processing technologies. Since being founded in the summer of 2010 by Professor David Erickson from Cornell University, Halo Lab's core mission has been to provide researchers with unprecedented insights into the particles present in their processes by leveraging our core scientific competency: novel optics. Over the years, Halo Labs has been the recipient of many prestigious awards, including Philadelphia’s Life Science Startup of 2012 and the Pittcon Silver Product Award; and has received over $6M in research grants from agencies including DARPA, FDA, NSF, NIST and NIH. Today, we dedicate our collective experience and novel technology to empower formulation researchers to learn more about the stability and quality of their biological drugs faster and with more accuracy than ever before. Our institutional partners include BioAdvance, the Ben Franklin Technology Partners of South Eastern Pennsylvania and Broad Oak Capital Partners. Robert has over 25 years of experience in life science instrumentation and product development. Before Halo, Robert was General Manager of Pall ForteBio responsible for growing the company with YOY growth of over 25% every year for four years. Robert was also the Senior VP of Instrumentation R&D at Pall Corporation and a corporate M&A member, helping acquire a variety of companies into Pall’s numerous markets. Before Pall, Robert was VP of Product Development and Operations for ForteBio from 2007 to 2012 where he helped exit the company to Pall Corporation for over $160M. Before that, Robert was at Molecular Devices Corporation, where he was Vice President of Product Development, being on the executive team that helped the $615M acquisition by MDS. 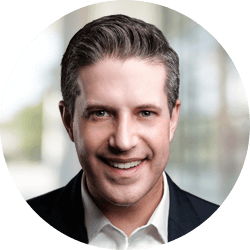 Previously he was at Axon Instruments, Inc. for 13 years, as Vice President of Software Engineering, helping be the first private company to IPO on the Australian stock market, and then helped with the $140 million acquisition by Molecular Devices. Robert received a BA in Computer and Information Sciences and Mathematics from Drew University, NJ and an MS in Computer and Information Sciences from the University of Oregon. Bernardo leads application and business development, and is one of the Halo Labs’ founders. He has was previously CEO and CTO, and played a pivotal role in bringing over $6M in federal grant funding. Prior to starting Halo Labs, Bernardo was a Postdoctoral Associate at Cornell University, where he also obtained his M.S. and Ph.D. degrees in Mechanical Engineering. His wide range of technical experience includes particle analysis, detection and manipulation, drug delivery devices, microfluidics, nanophotonics and bioenergy production. In 2012, Bernardo was named one of Philadelphia’s top 30 under 30 entrepreneurs, the same year Halo Labs was named Philadelphia Life Science Startup of the year by the Greater Philadelphia Alliance for Capital and Technologies. 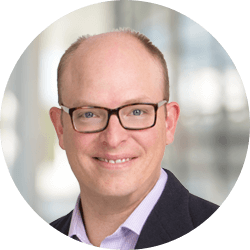 Rick comes to Halo Labs with over 15 years of sales and sales management experience in start-up, emerging growth, and market-leading life science tools companies. Prior to joining Halo Labs, Rick held senior positions at Unchained Labs and Phasefocus, where he launched and built sales organizations and was a key member of the team that grew ForteBio into the bestselling label-free protein characterization platform on the market. Rick has also held sales positions at Molecular Devices, LabKey Software, and Pacific Biomarkers. Rick holds a B.S. in Biology from the University of Washington and an M.S. in Biology from the University of Maine. John joins Halo Labs with 13 years’ experience marketing and selling disruptive tools within the life science market. 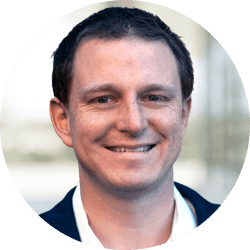 Before joining Halo Labs, John held both sales and marketing positions at Unchained Labs, was VP of Biopharma Marketing at Berkeley Lights and VP of Marketing at ProteinSimple where he led all strategic and tactical marketing. As a member of the leadership team at ProteinSimple, he helped drive the company to over $70M in annual revenue before assisting in the exit of the company to Biotechne for $300M. 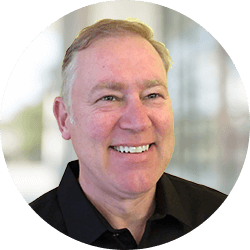 Prior to joining ProteinSimple, John was the Director of Worldwide Field Applications at ForteBio where he led a team responsible for all pre-sale and post-sale support. John has also held various positions within marketing and product management at both MDS Sciex and ForteBio. John earned a B.S. in Biochemistry from Texas A&M University and received his Ph.D. in Neuroscience from the University of California, San Francisco. Spencer has been involved in the development of instrumentation and software for the Life Sciences for over 2 decades. Prior to Halo Labs, Spencer was Sr. Director of R&D for ForteBio (the biologics business unit of Molecular Devices) and responsible for leading a team of engineers and scientists through the technical and strategic challenges of developing the next generation of assays, consumables and instruments for protein characterization and Biologics discovery. Before ForteBio, Spencer held senior positions at Molecular Devices, MDS Analytical Technologies, and Axon Instruments, where he was involved with the development of market-leading analytical tools for imaging and bioinformatics. Spencer holds a B.S. in Cellular, Molecular and Microbial Biology from the University of Calgary. Dr. Keegan has more than 30 years of experience in life science businesses. As CEO at ForteBio, Inc., he led the Series C financing which raised $25M, established product development and sales strategies that resulted in 2007-11 compounded annual revenue growth of 45%, and exited the company through its sale to Pall Corporation, returning $160M to investors. During his 9-year tenure at Molecular Devices Corporation, Dr. Keegan grew the company’s revenues from $30M to $185M through internal growth and acquisitions. In 2007, he oversaw its acquisition by MDS Corporation for $615M. Dr. Keegan joined MDC from Becton Dickinson and Company, where he served as President of Worldwide Tissue Culture and Vice President, General Manager of Worldwide Flow Cytometry. Prior to Becton Dickinson, Dr. Keegan was Vice President of the Microscopy and Scientific Instruments Division of Leica, Inc. He currently serves on the Board of Directors of Arrayjet LTD, Bio-Techne (NASDAQ:TECH), Carterra, Interpace Diagnostics (NASDAQ:IDXG), Labcyte as Chairman and Nanomedical Diagnostics as Executive Chairman. Dr. Keegan holds a B.A. in Chemistry from Boston University and a Ph.D. in Physical Chemistry from Stanford University. Dr. Shahram Hejazi is a medical device/life science executive with general management experience in both early-stage ventures and large global companies. 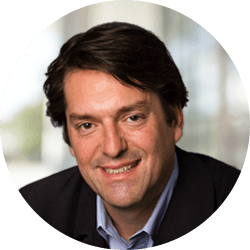 As a Venture Partner with BioAdvance, he is responsible for investments in device, diagnostics and imaging field. Previously, Dr. Hejazi was the President of Kodak’s life science division (now called Carestream Molecular Imaging), where he had global responsibility for R&D, manufacturing, operations, sales, marketing and service. Before Kodak, he was the CEO of Zargis Medical Corporation (an early-stage medical device company that spun off from Siemens), where he led the company’s efforts in areas ranging from raising capital and technology development to completion of several clinical trials, FDA approval and product launch. Prior to Zargis, Dr. Hejazi was the Head of the Strategic Business Development group at Siemens, responsible for identifying early-stage growth/investment opportunities and new business development in the medical field. Bill Snider is a Partner at BroadOak and leads the firm’s growth capital investing activities. Mr. Snider has more than 20 years of institutional investment experience. Prior to BroadOak, he was a general partner and co-founder of Emerging Technology Partners, LLC, a life sciences focused venture capital firm. Prior to ETP he was a vice president and portfolio manager at T. Rowe Price, where his responsibilities included managing $2 billion of mutual fund and institutional client portfolios. Some of Mr. Snider’s past directorships include Alpha Innotech, Molecular Transfer, and Atto Biosciences, and he currently serves on the boards of Astero Bio, BioInformatics, and the MdBio Foundation. He has made more than 30 growth capital investments while at BroadOak, and looks forward to making 30 more. Bill holds the Chartered Financial Analyst accreditation, and graduated without honors, twice, from the Wharton School at the University of Pennsylvania: once to earn a B.S.E. in Finance, and later, an M.B.A. His golf game hasn’t improved in the last 20 years, and he suspects he might be better at tennis. Bill has been dedicated to youth rowing since his daughter entered high school; he discovered his passion for crew when he walked onto the team at Penn.